artigo sobre “Tapetes com Carisma”, e incluiu o ::NAPRON:: da anabanana nesse TOP20. 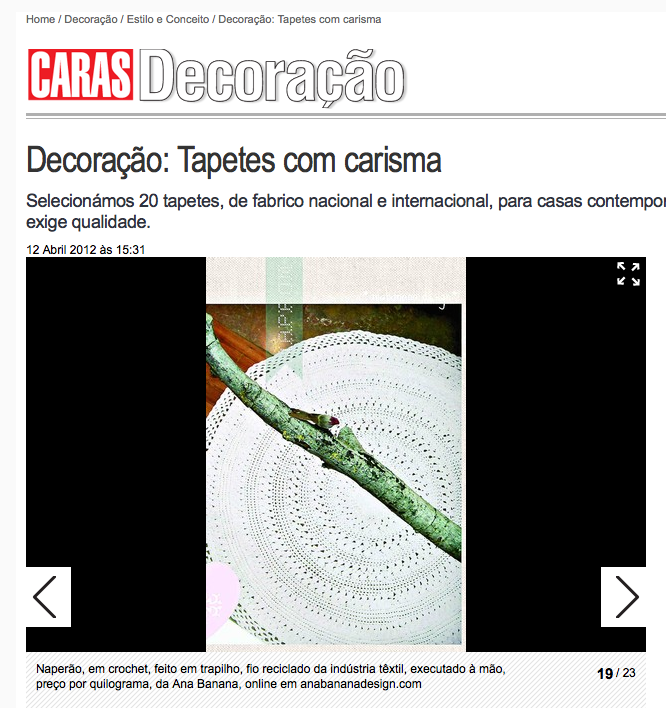 an article about “Carpets with Charisma”, and included ::NAPRON:: by anabanana on the TOP20. Thank you Caras Team!